The temperatures are getting a bit cooler here in the Midwest. Time to pull out the fall clothes, and what better accessory is there to keep your neck warm and your outfit looking stylish than an infinity scarf? What I like most about them is how versatile they are. They are suitable for many ages and you can make these scarves in a variety of different fabrics. 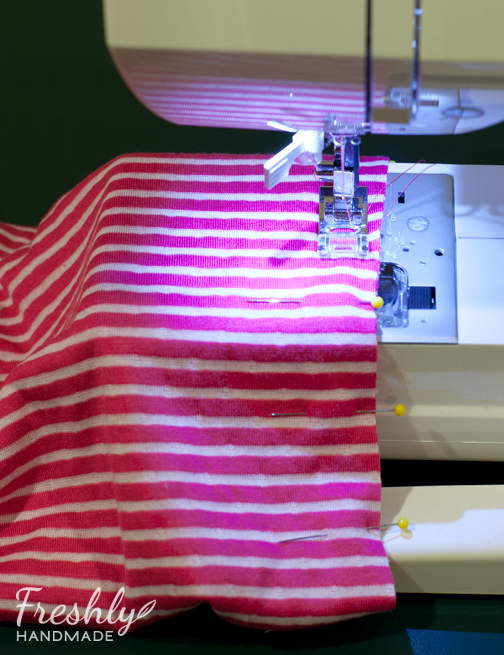 Use cotton, gauze or a rayon/knit blend for summer or a cozy flannel or minky fabric for winter. Plus, you can wear them for casual days or to dress up an outfit. You really can't have enough of these. 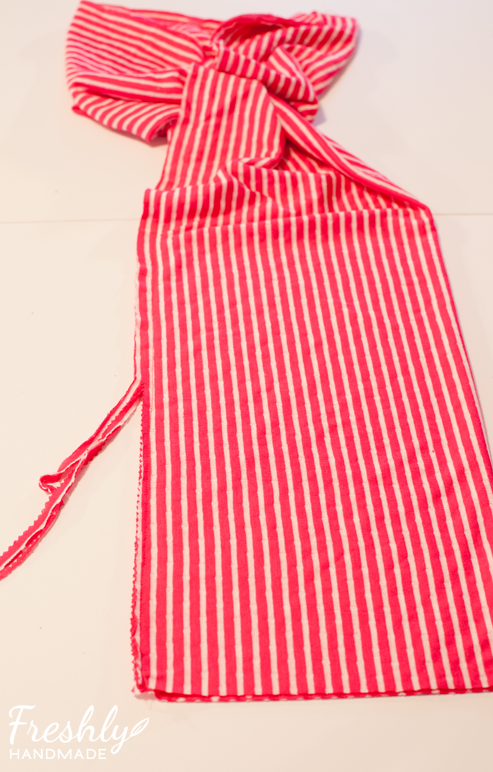 Today, I am going to show you how to make one for yourself or as a gift for a friend. 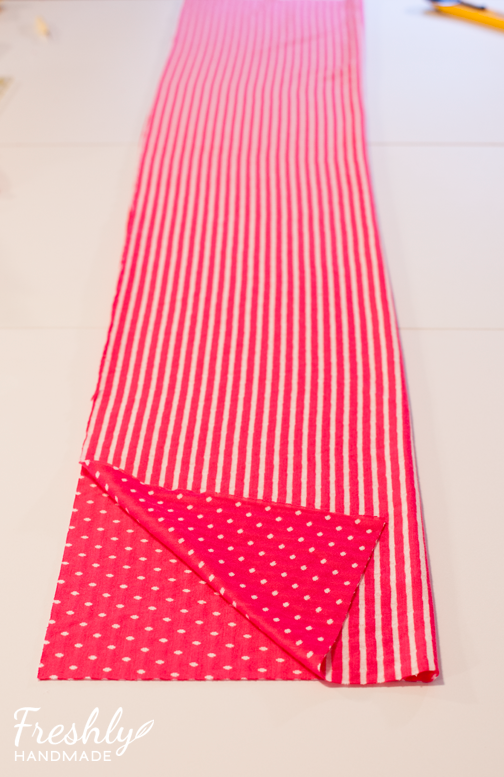 1/2 yard of fabric that is about 60" wide from selvage to selvage. 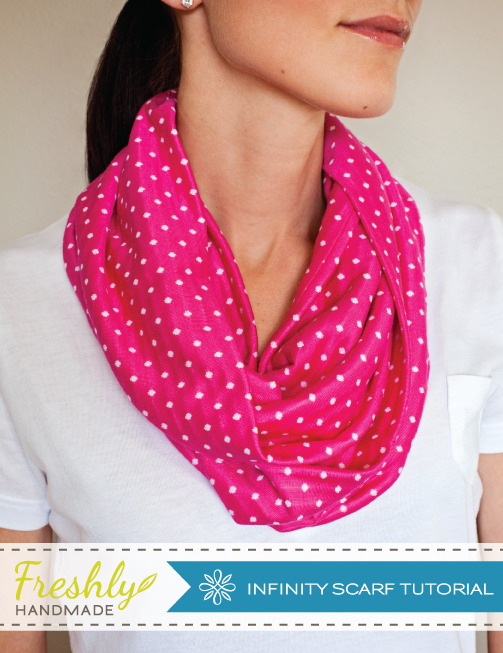 I used a knit, cotton/rayon blend polka dot fabric. Matching cotton or polyester blend thread. 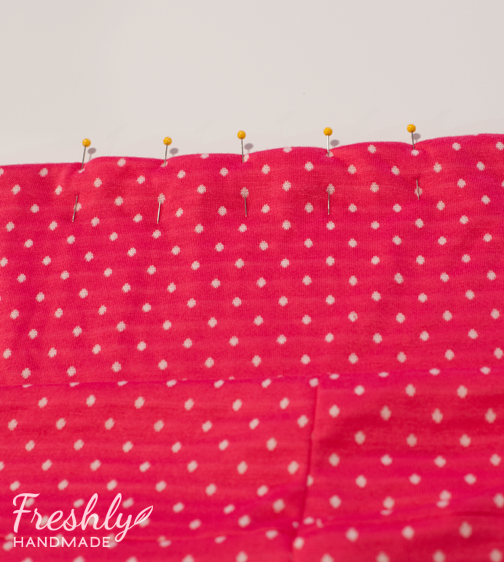 Use a 1/2" seam allowance when sewing unless otherwise noted. 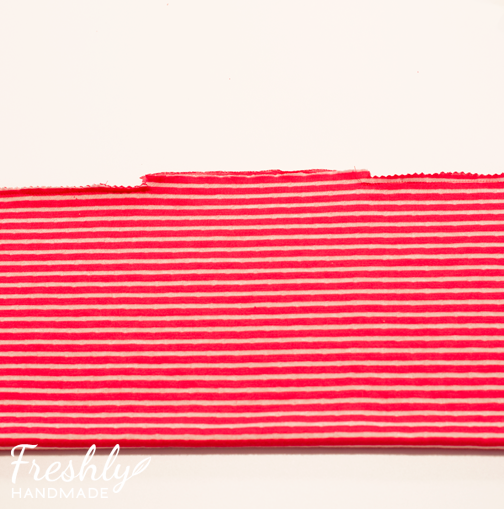 STEP 1: Fold the fabric lengthwise with wrong sides of the fabric facing each other. Match up the edges and trim the short ends to straighten. STEP 2: Pin across the top every inch or so, leaving a 4-5" section in the middle unpinned. This will be for your opening. STEP 3: Sew along the entire edge except in marked open area. Back stitch at the beginning and end of the opening to secure the stitches. Remove the pins as you stitch. 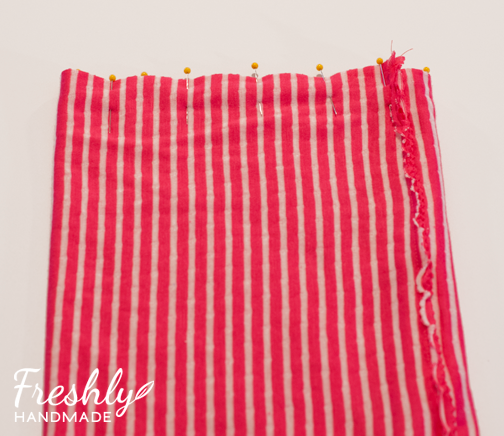 STEP 4: Using a pinking sheers, cut about 1/4" off the raw edge along the entire length of the fabric where you sewed, except where the opening is. 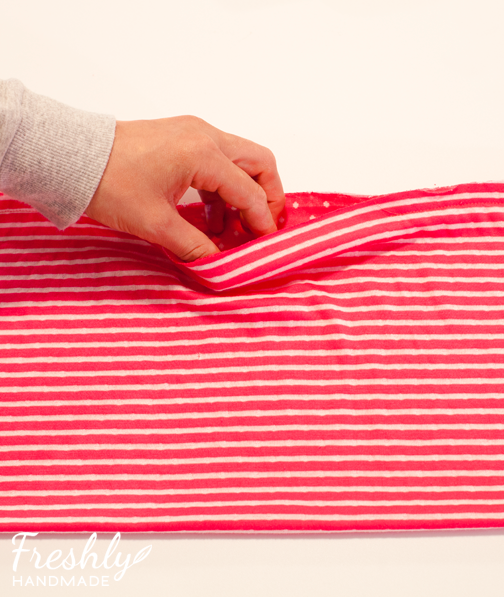 You will need extra fabric at the opening to turn your edges over easily at the end. 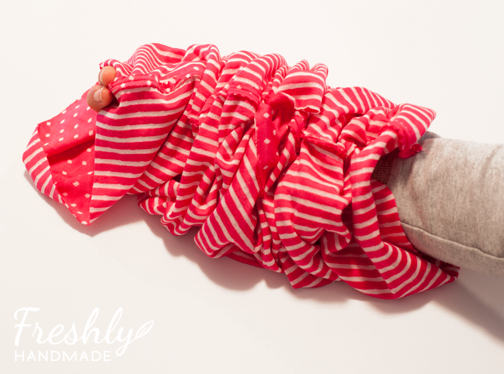 STEP 5: Insert your hand and arm into one end of the scarf until it comes out the other side. STEP 6: Grab the edge of the fabric and pull it through the rest of the scarf and meet the edges and seams of the short ends. Right sides of the fabric will be facing each other. STEP 7: Pin along the entire edge, while maintaining the tube/circle. Don't pin all four layers together. STEP 8: Sew around the opening, back stitching at the beginning and end to secure the stitches. You may need to remove the accessory box/extension table from your sewing machine to fit fabric under the needle. 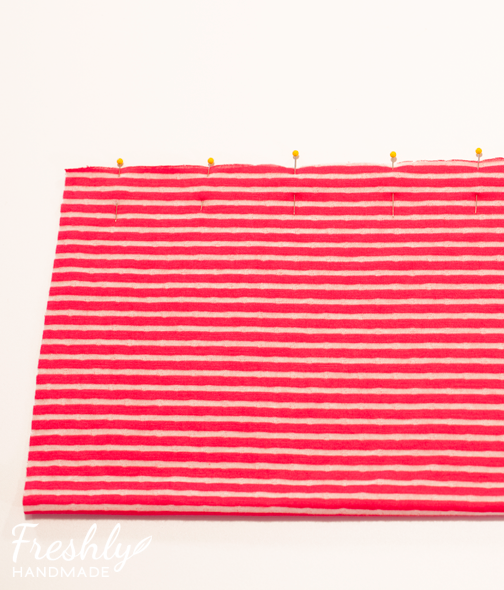 STEP 9: Using your pinking sheers, again trim about 1/4" of fabric from the edge you just sewed. STEP 10: Insert your hand into the center opening and pull the all the fabric through the hole so the right side of the fabric is now on the outside. STEP 11: Fold the edges from the opening in and secure the opening with pins. STEP 12: Sew closed the opening about 1/8" or less from the edge. Back stitch at the beginning and end. You're done! Your scarf should be long enough to wrap around your neck twice. 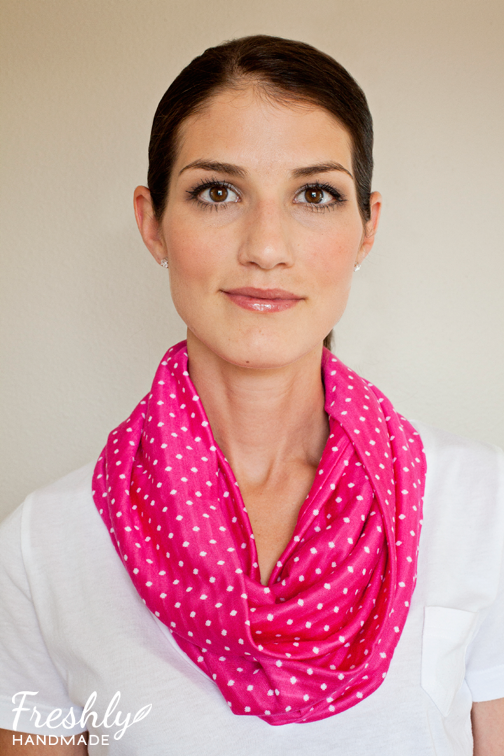 I'd love for you to share with me the scarf or scarves you make using this tutorial. If you have any questions, feel free to contact me. So easy yet elegant... thank you Stacy for the tutorial! would you need to use a fabric that has a bit of stretch to it? I've never made one before and I'm not sure if it needs to be stretchy or not! As long as it has a good drape, it doesn't have to be a stretchy knit. Blessing to you and yours.. 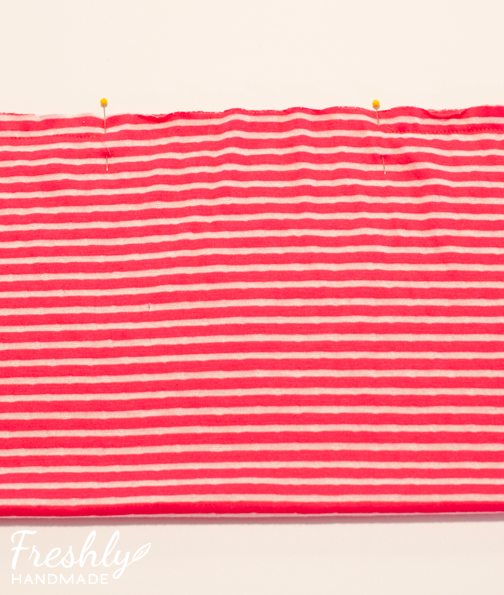 If you have 60" fabric, then your scarf when folded and stitched would be 30" wide. Am I understanding that correctly? So easy and gorgeous. I will definitely make one this week. Got to read this step by step instruction carefully. What is the final measurement when done?